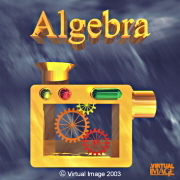 Sophisticated dynamic software for teaching coordinate geometry, statistics, probability and calculus. Autograph is more than just a sophisticated graphing package, it is an encyclopaedic interactive resource. Teaching secondary and college mathematics with dynamic software is more effective, more efficient and more fun, for both teacher and student. Lessons are more exciting and effective with Autograph's interactive and visual approach. Autograph leads the way in the use of dependent, selectable mathematical objects to help students get to grips with the principles of probability and statistics, and coordinate geometry, in both 2D and 3D. Version 3 is Interactive Whiteboard friendly - with its own drawing overlay tools. The Autograph interface has been completely overhauled, with a new toolbar system and other new features. It's so much easier to use and more powerful. There are two levels of operation, ‘Standard’ and ‘Advanced’. The ‘Standard’ level has a greatly simplified interface and a reduced set of options for the user. The Advanced level allows the study of surfaces, entered in a variety of coordinate systems. At all times the scene can be rotated and zoomed for the best effect. Now you can bring maths to life with photos and images as background, over which to fit curves for example. Geometry has been expanded, with new angle measurement tools and marking. Text annotation is now dynamic too. There's a dockable results box, tabbed workspaces and a redesigned and expanded Help and Training system and more! The links to the top left show Autograph in use in various areas of the curriculum. Static pictures cannot do justice to the wonderfully dynamic and interactive nature of Autograph. We recommend the short Flash movies of real time use of Autograph (if you have the free 'Flash' Player) which you can find through the 'Autograph in Action' link. In addition to the CD-ROM, the package offers access to a wealth of extra on-line resources: lesson plans, worksheets, autograph files, raw data samples. 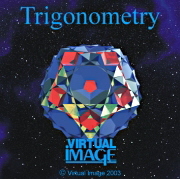 Autograph is the ideal tool for interactively presenting new material to a class and the Virtual Image CD-ROMs: Trigonometry and Algebra are perfect for enabling the class to prepare for examinations by answering sequences of computer generated problems.